as shown by the specially designed infographic that this post breaks down. On December 15, 2018 Nexo distributed US$912,071.00 to eligible NEXO Token Holders. The dividend represents 30% of the $3,040,239 net profit for the fist 7 months of Nexo’s operation. The annualized dividend yield of the NEXO Token is 4.80% beating all dividend stocks in Buffet’s portfolio, including: Apple 1.4%, JPMorgan 3%, Wells Fargo 3.3%, Goldman Sachs 1.6%. Please read the interim report for all details. 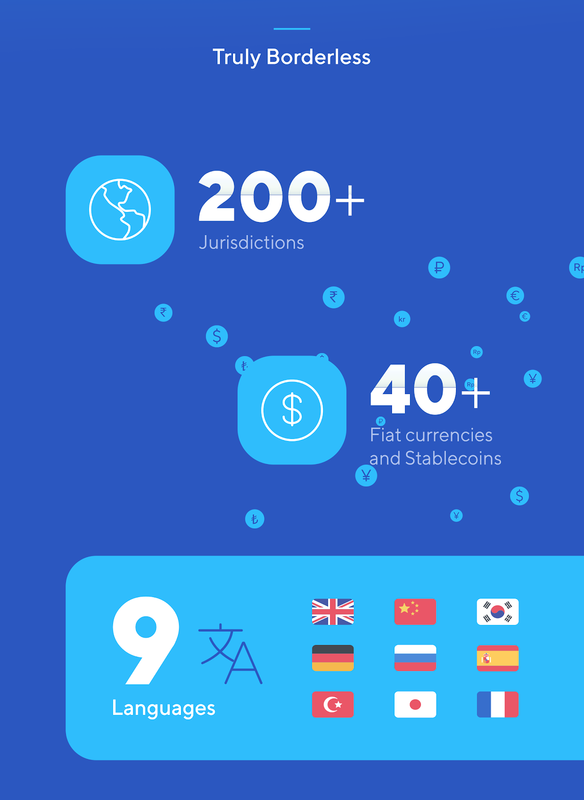 A true blockchain company, Nexo is the only crypto lender to operate within 200+ jurisdictions and provide its tax-efficient loan services in more than 40+ different fiat currencies and in 9 languages. All of the above has been made possible by the devotion of Nexo’s team to provide the blockchain community with the means to access instant cash, all the while allowing clients to keep the upside potential of their crypto. Our ever-growing community of happy investors, clients and token holders is what drives us to push the boundaries of the service that we provide. 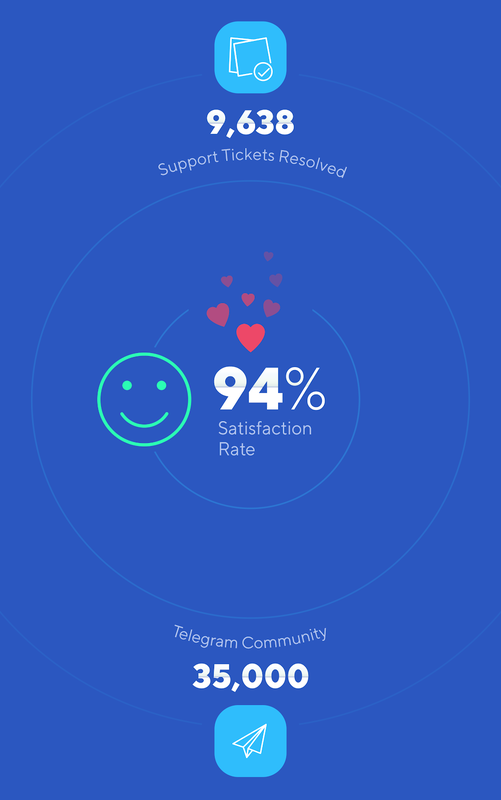 A customer satisfaction rate of 94% is a true testimony that Nexo is on the right track. 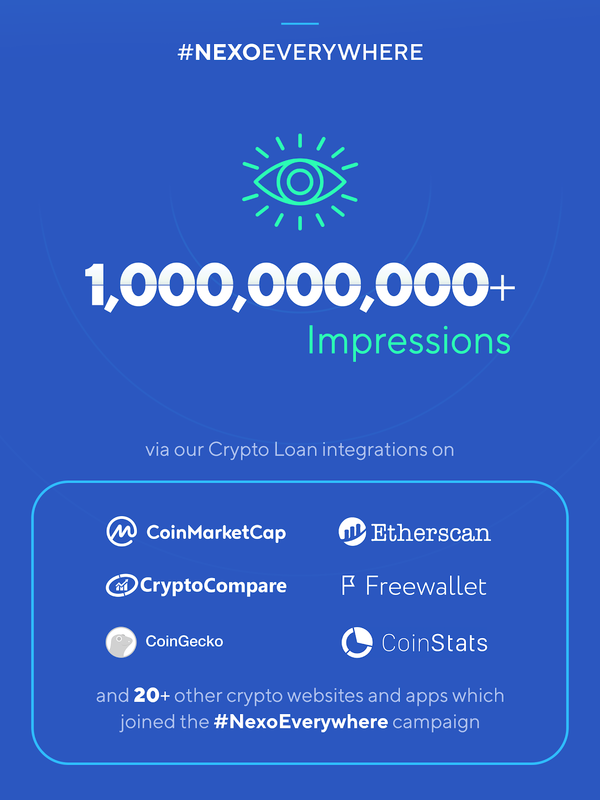 Nexo’s ubiquitous #NexoEverywhere campaign has shown significant advancement as kicked off by our collaboration with such leaders as Coinmarketcap, Etherscan, CryptoCompare, and Coingecko. This was followed by twenty other partnerships with dedicated integrations on leading outlets and is further proof that Nexo’s presence is empowering all communities of the blockchain space — essential for its further development. 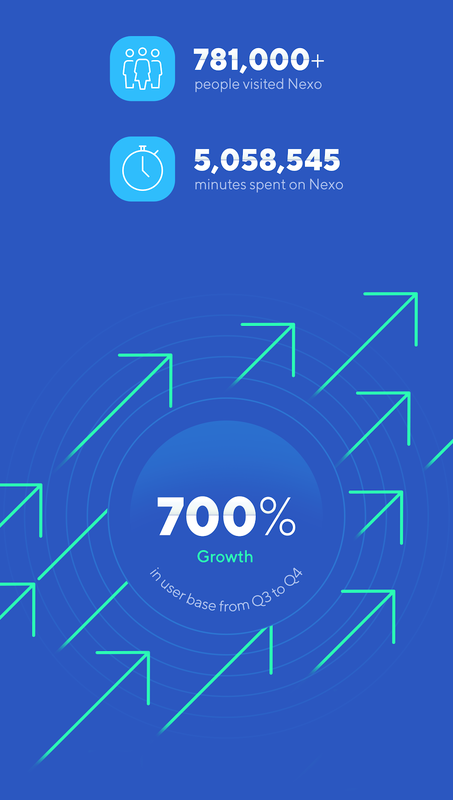 The Q3 to Q4 2018 user base growth has been a stellar 700% which has exceeded all expectations but shows the unequivocal demand for Nexo’s instant crypto loans and the additional features that we are rolling out on a regular basis. 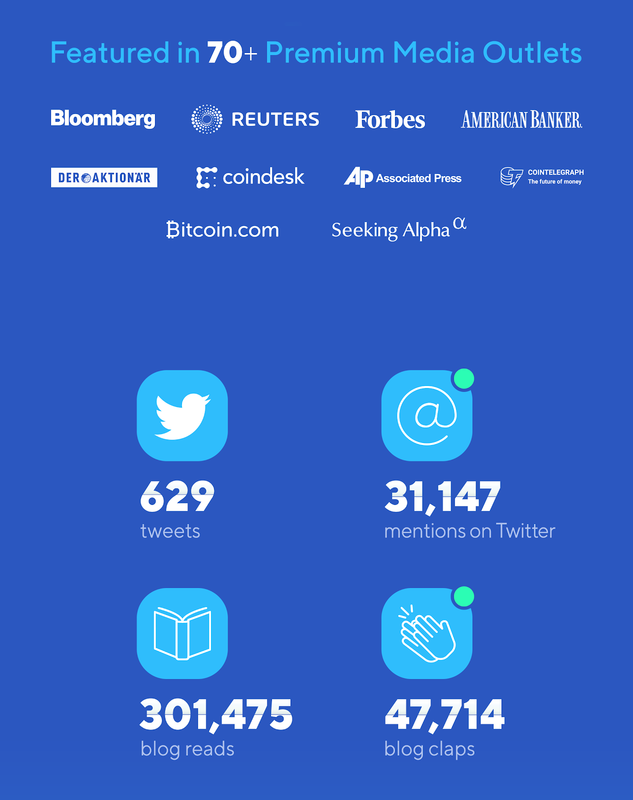 Nexo has reached over 1,000,000,000 impressions thanks to our 35k+ Telegram community and 31k+ Twitter following and have secured us features in 70+ top-tier media outlets such as Bloomberg, Reuters, Forbes and many more. Going forward, Nexo will redefine the very nature of banking on the blockchain by providing a service that is better than any exchange wallet, better than any crypto wallet, better than any bank account. Do check out our earlier blog posts, share them with your friends and let them too be part of the Nexo success story! Nexo is the most advanced and trusted instant crypto lending provider on a global scale, servicing 45+ currencies across more than 200 jurisdictions. Nexo has provided tens of million of dollars worth of loans to an ever growing base of thosands of happy clients.